A study carried out by the Mobile Marketing Association (MMA) has found that whilst the current budget allowance for mobile marketing in most companies is around 1%, this should be 7% for optimum results. However, this figure will rise to over 10% over the next four years, based on the adoption of smartphones only. The growth won’t stop there though, as more effective targeting, innovation in technologies and “creative excellence” will come together to contribute to an increased spend in the market. The results of the study were brought about by “a scientific ROI analysis vs. the simpler “share of time (should) equal share of budget” proxy that is often offered in lieu of ROI optimization”. This means that the findings are based on “the best empirical data” as well as proven ROI measurement. “The analysis demonstrates how combining datasets on ad impact and cost, in the context of reach and frequency provides a powerful framework for predicting ROI, and rebalancing the media mix to optimize marketing impact,” MMA said in a statement. The findings are presented by MMA in a whitepaper, which also suggests that the budget range that marketers should spend on mobile varies according to industry and marketing goal. However, despite the variance, it remains clear that most marketers are not spending enough on mobile currently. This substantial lack of spending on mobile marketing also means that companies that settle for a “sub-optimal media mix are losing out on sales and profit”. The growth of effectiveness when it comes to mobile marketing is reflected in rapidly changing consumer media habits. This is due to the explosion in smartphone adoption, which has made it clear that mobile is incredibly effective in achieving marketing goals. However, marketers have thus far been slow to adjust to rebalancing their media mix, despite evidence to suggest its effectiveness. “In fact, it is appropriate to assert at this time that most marketers should significantly increase their investment in Mobile advertising. While this may be a bold statement, it is a statement based on science and mathematics; it is rooted in what we quantitatively know about all media’s impact as well as Mobile’s impact and penetration to date,” said MMA. The whitepaper also states that we are now past the point of experimentation and the most innovative digital marketing agencies are already “pushing the envelope” when it comes to mobile marketing. Now, they say, it’s time to look at integrated marketing strategies based on data and insights that can be applied to a wide range of marketers. The mobile revolution is not going to go away and the study shows that mobile usage is the only media that has continued to grow in the time spent on devices since 2008. This figure doubled by 2011 and it’s thought that by 2016, global smartphone usage will reach around 30%. However, many marketers are echoing the advent of online advertising with concerns surrounding screen size and how ads are displayed. “Too often, advertising people try to superimpose their own perceived reaction to advertising and may under-estimate its impact,” the report points out. Despite this, many marketers recognise the opportunity presented by new devices, such as tablets, and these will begin to rely even more heavily on mobile advertising as a part of their campaign mix using various types of media. There’s little doubt that mobile and mobile video are looking like they will see higher adoption this year, creating an environment in which enterprises can extract value from both. 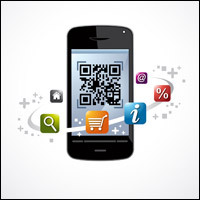 Rethinking your marketing strategy with a focus on mobile? Get in touch with our mobile and marketing gurus for an expert opinion.